A Matter of Memories: :MEMORYWORKS EXPRESS: May 2011 Kit "Simple Pleasures"
:MEMORYWORKS EXPRESS: May 2011 Kit "Simple Pleasures"
There are few things in life better than taking the time to enjoy the most simple things. Quite mornings, long walks, and time with loved ones are what make the difference. The bright colors and simple patterns included in this month's kit blend to take your mind to those memories that always mean the most! 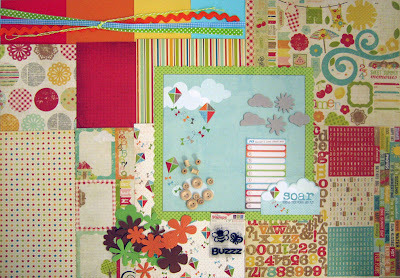 Check out the inspiring projects created by the MemoryWorks Design Team with this beautiful kit in the May Idea Express!